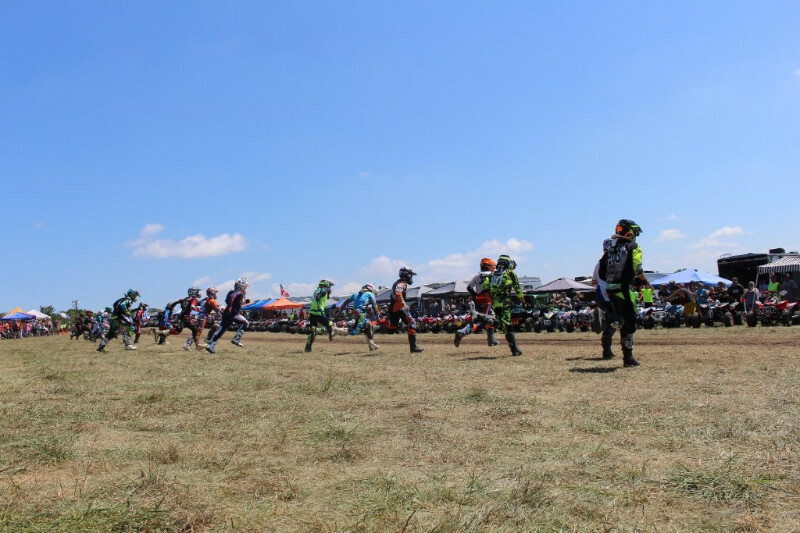 Racing fans and riders from across the nation gathered in lush and beautiful Carlisle, Iowa for the 10th annual GBC Motorsports Heartland Challenge presented by PowerMadd. 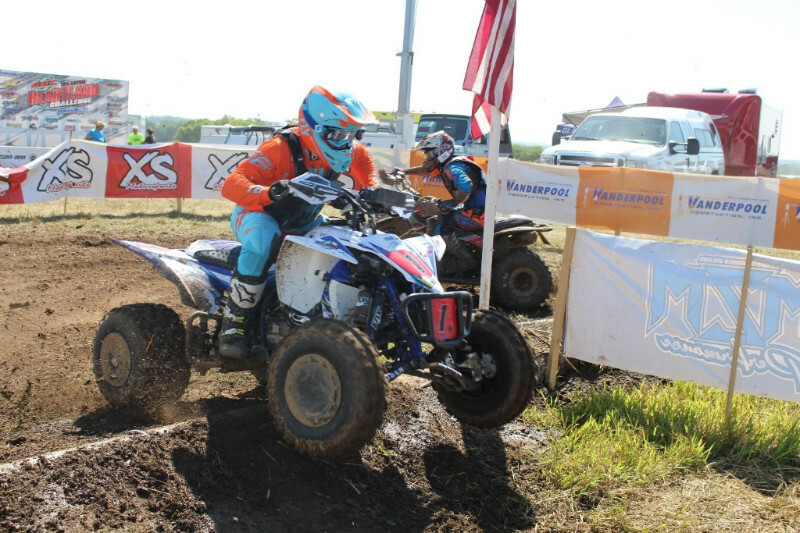 The Heartland challenge has been widely accepted as one of the most grueling and demanding ATV/UTV races in the country. From its wooded areas filled with treacherous curves and rooted sections to wide open fields twisting through Middle River, the Heartland Challenge has grown in popularity due to its unbelievable race conditions and the duration of its races. The two day event brought out elite racers from coast to coast, all looking to secure bragging rights in the most unforgiving race of the year, and the widely loved corn cob trophy. Fans and riders were treated to free giveaways and GBC’s popular spaghetti dinner under the clear skies of Carlisle. The course ran through dense foliage into vast fields, onto a custom challenge section containing rock piles, logs and staggered tires, and even a fast-paced MX section. While the majority of competitors take on the course as part of a team, some choose to face the infamous Ironman challenge, a blistering 10-hour race of Man versus Insanity. A single rider event, the Ironman race has been considered the ultimate proving ground for racers looking to test their abilities and skills in duration-based racing. This year the Wonder Woman class was added to pay homage to all of our diehard Women’s racers across the nation searching for the ultimate test of will and endurance. 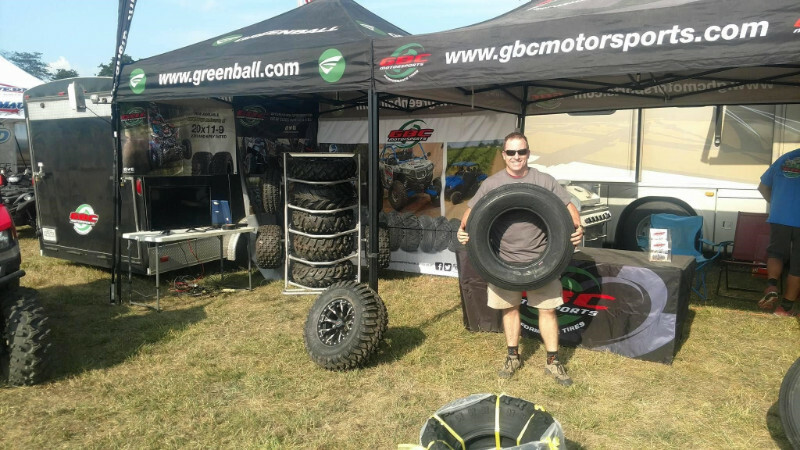 The 10th anniversary of the Heartland challenge was underway in Iowa, and GBC Motorsports was in attendance and well represented. 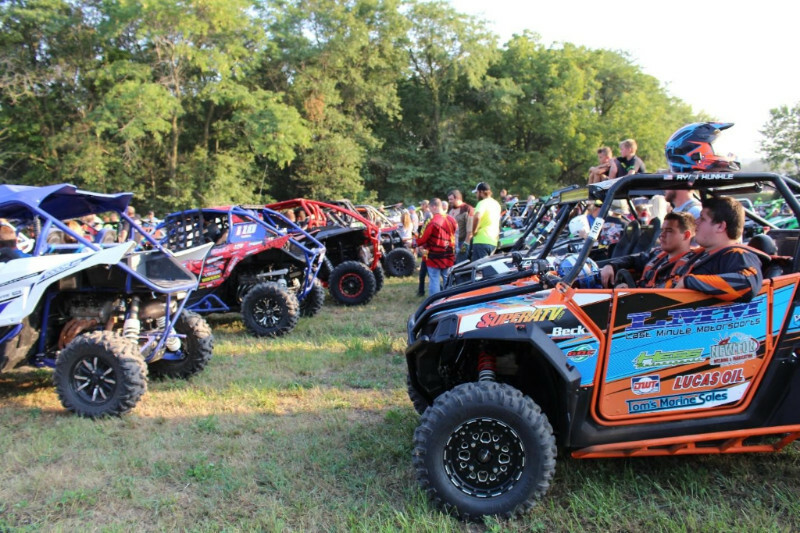 Racers lined up in anticipation of 4-hour UTV battle. 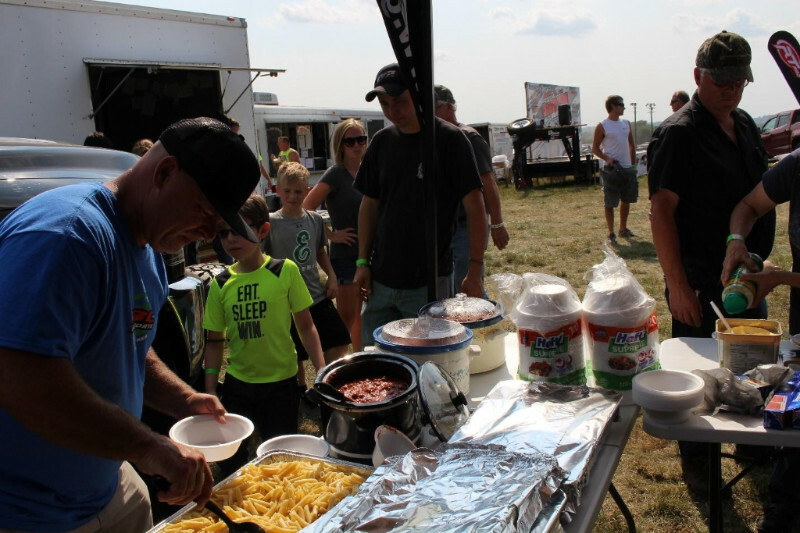 Fans are treated to free food and giveaways at the GBC Motorsports booth. 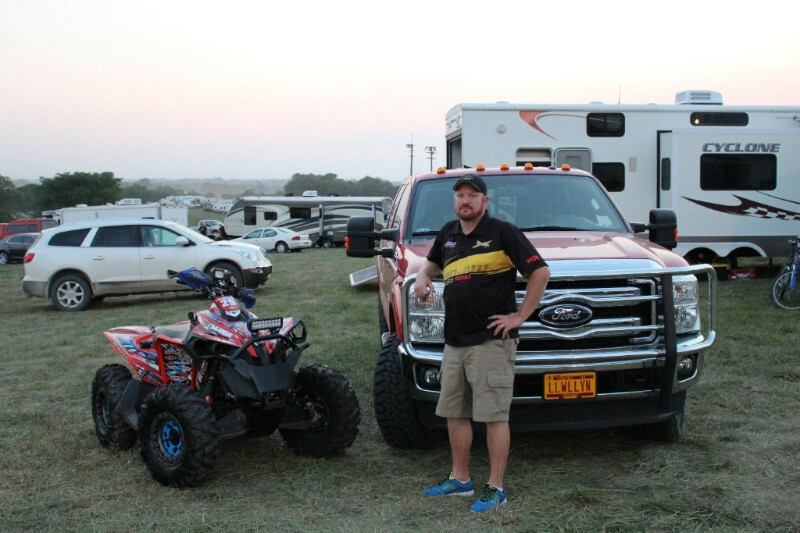 GBC Motorsports sponsored rider Johnny Gallagher arrived in Carlisle, Iowa for the Heartland Challenge with one goal in mind: total victory. Alongside the talent-filled Team Yamaha, Gallagher navigated the harsh track with a potent mix of finesse and aggressiveness, all acquired traits from being a seasoned Pro rider and top tier racer. The weather was humid and hazed, making for muggy and hot race conditions as Gallagher accelerated through wooded locations and muddy hills under the Iowa skyline. It was single line racing in the wooded sections of the event, and passing was next to impossible and a serious risk for even advanced riders. Gallagher fought the unforgiving terrain and large natural roots that protruded from the soil beneath, in a desperate attempt to snag and distract passing riders. Johnny Gallagher, making it look easy on XC-Master and GB3 performance tires. 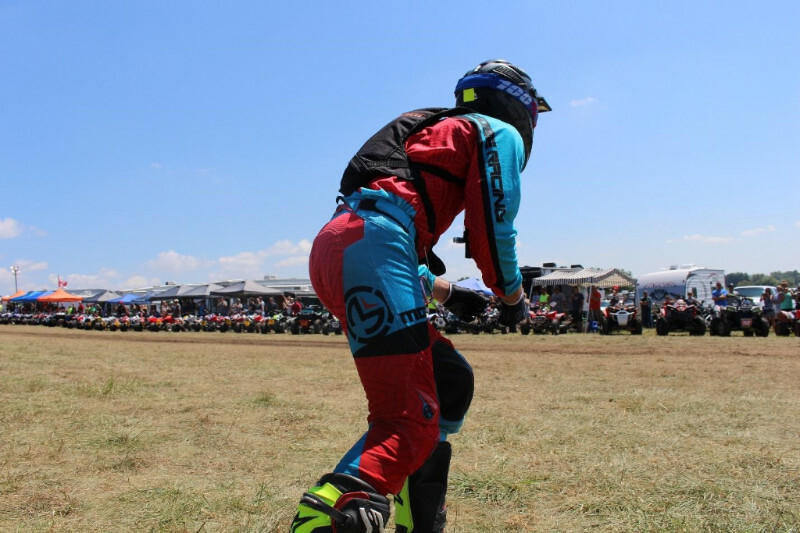 Gallagher treated fans to a nail-biting show of pro racing skill as he landed doubles in the MX section with ease, then hammered down across the course to leave clouds of dirt and dust for upcoming riders to contend with. Gallagher battled alongside fellow top tier racers from across the states as he sought to secure the Golden Corn Cob trophy and a podium position at Heartland. Gallagher would go on to complete the 10 hour race with teammates Walker Fowler and Mark Notman from team Yamaha, capturing the checkered flag and a 1st place overall in the AA Pro class. Gallagher showed fans and fellow racers alike that sportsmanship and integrity can coexist with showmanship and competition. This marks Gallagher’s 8th Heartland race and 6th victory in the event. 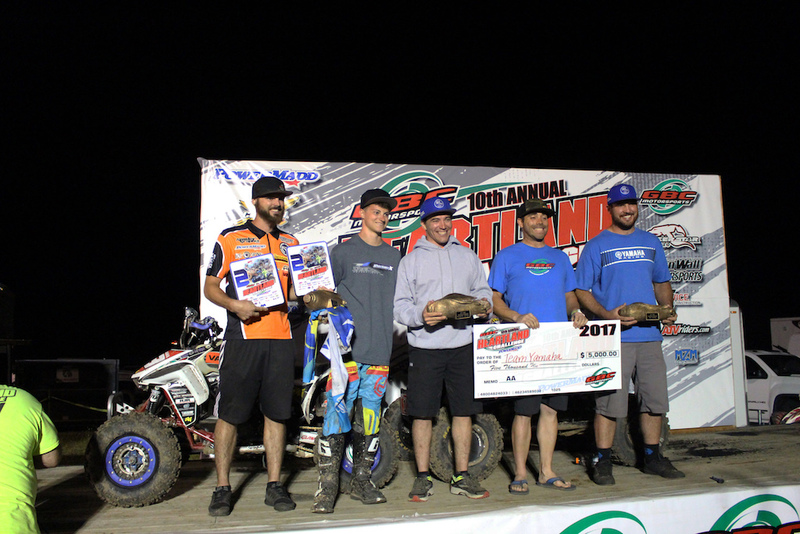 Congratulations to Johnny Gallagher, Walker Fowler and Mark Notman of Team Yamaha from GBC Motorsports for the impressive victory. Johnny Gallagher is a GBC Motorsports sponsored rider and rides on XC-Master and Ground Busters 3 performance tires. This marks Gallagher’s 8th Heartland race and 6th win. When it comes to top tier riders in the ATV racing community, the name Matt Lindle is never far from earshot as he has proven to be a worthy competitor in the fast-paced sport of ATV racing. Lindle stated last year in an interview, “it was the challenge that keeps me coming back”, and coming back is exactly what he did in the 2017 race. Finishing out the 10-Hour race with a 2nd overall, Lindle and Teammate went the distance against a brutal terrain, exhausting weather conditions and explosive competition. Lindle shined in the Challenge section, climbing rock piles and discarded logs and tires in superior fashion as other riders stalled out mid climb in frustration. As the day’s race progressed Lindle continued his nearly flawless run on the grassy plains of Iowa, holding his hand high as he blasted down pit row for the legions of screaming fans in attendance at the 10th annual Heartland Challenge. 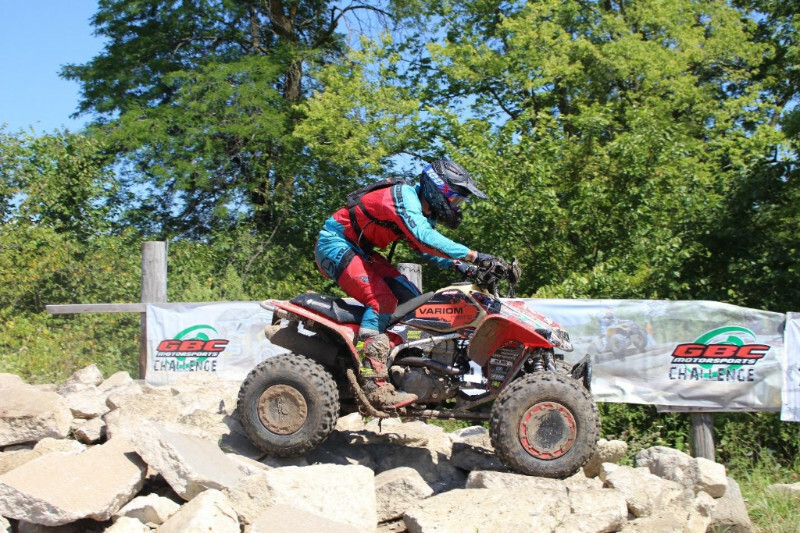 Matt Lindle, focused and ready at the Le Mans style start of the ATV race for the 10th annual Heartland Challenge. Lindle has the drive and skillset to make him a threat to any race series he participates in, and his racing record has the stats to support the statement. Lindle said during last year’s post-race interview, “it’s the mental game that pushes you farther, faster, and long as you can,”and surely any racer who has participated at the Heartland Challenge can agree with that statement. Matt Lindle is the reflection of hard work and determination, truly an intelligent racer and competitor. We look forward to seeing Lindle in action at next year’s Heartland Challenge, for he is truly a showman and master of the craft. Congratulations to Matt Lindle alongside teammate from GBC Motorsports for the impressive victory. 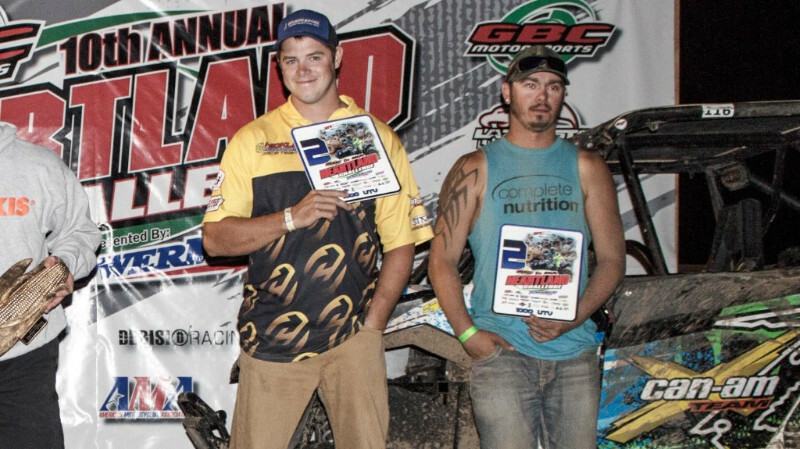 Matt Lindle is a GBC Motorsports sponsored rider and rides on XC-Master and Ground Busters 3 performance tires. Lindle showing the true power of the XC-Master and GB3 performance tires during the “Challenge” section of the event. Spencer Modlin and teammate secure 2nd in the UTV 1000 race. Great jobs guys on the podium finish. 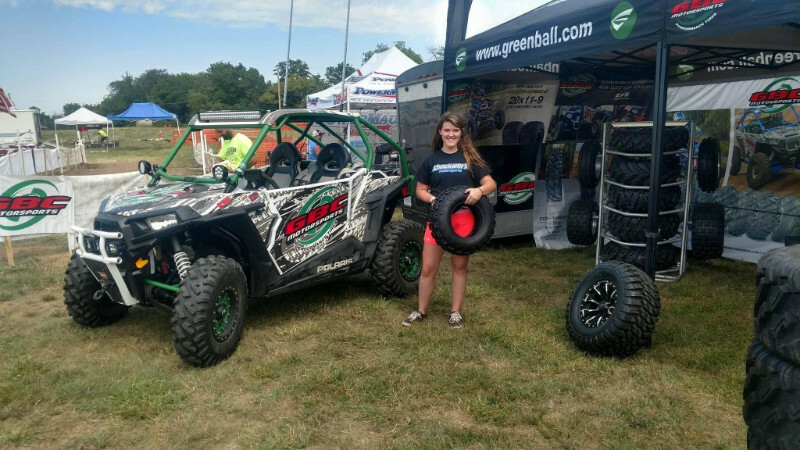 Jayci Inman won a pair of XC-Masters and the new GB3 performance tires. We know the winning combination of our tires and Jayci’s driving abilities will only lead to greater victories. Congratulations, Jayci, from GBC Motorsports. Jason Smith picked up his prize set of Tow-Master “All-Steel” Radial trailer tires, the perfect addition to any trailer when it’s time to carry your heavy loads. Congratulations, Jason, from GBC Motorsports. Dan Llewellyn won a new set of our popular Kanati Mud Hog light truck tires, capable of everyday street use with dependable off-roading capabilities. Congratulations, Dan, from GBC Motorsports.